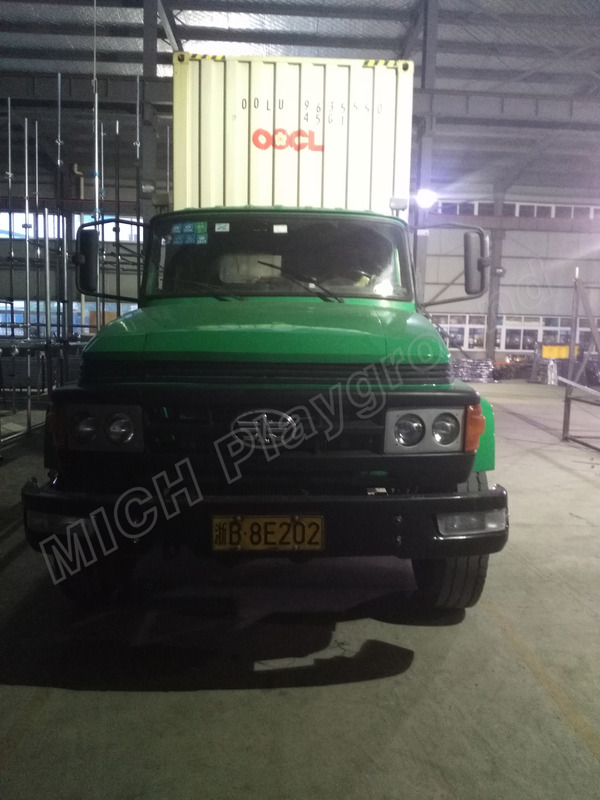 - Mich Playground Co., Ltd.
Our playground equipment is sold all over the world, the main market include Europe, Middle East, Australia, North Amercia and so on. Welcome to contact with our professional sales team to get more information about practical project etc. Here are some customer cases of our playground equipment. 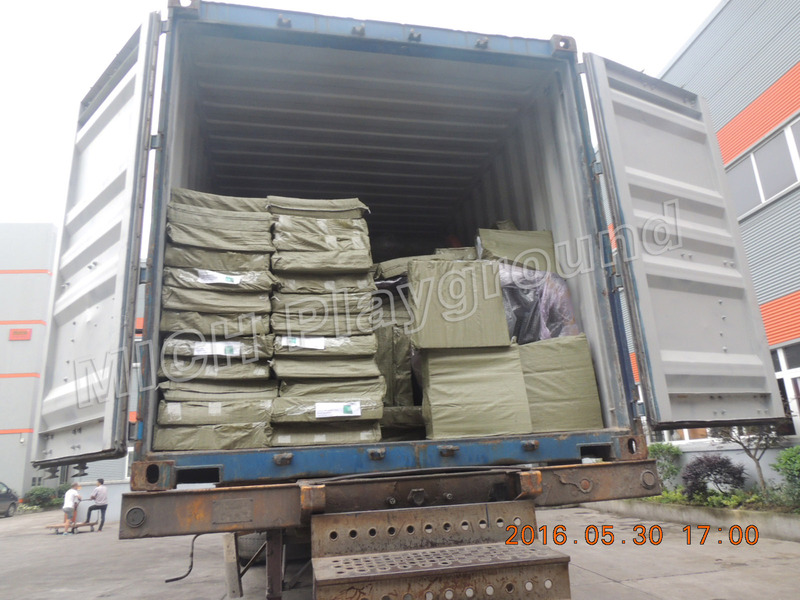 There have 40HQ and 20GP container is export of trampoline park(jumping bed) to Finland. 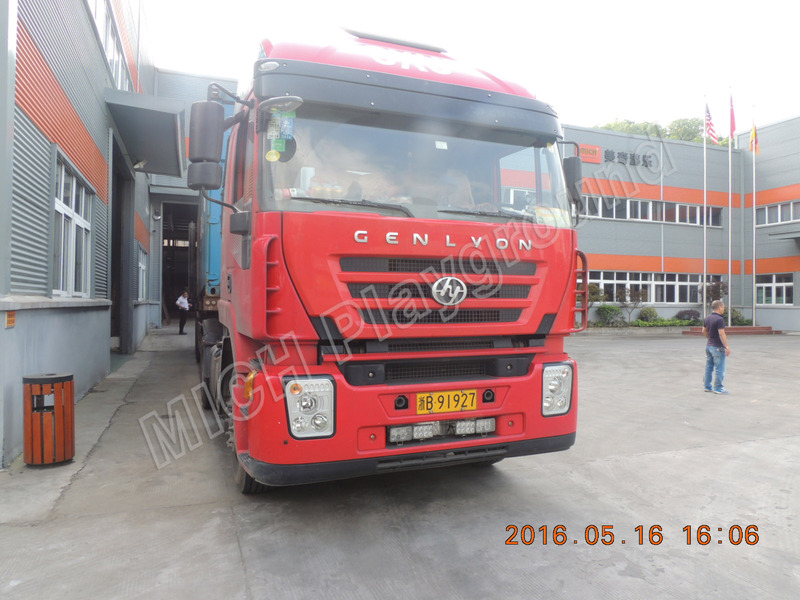 There have a container is exports of trampoline park to Singapore. 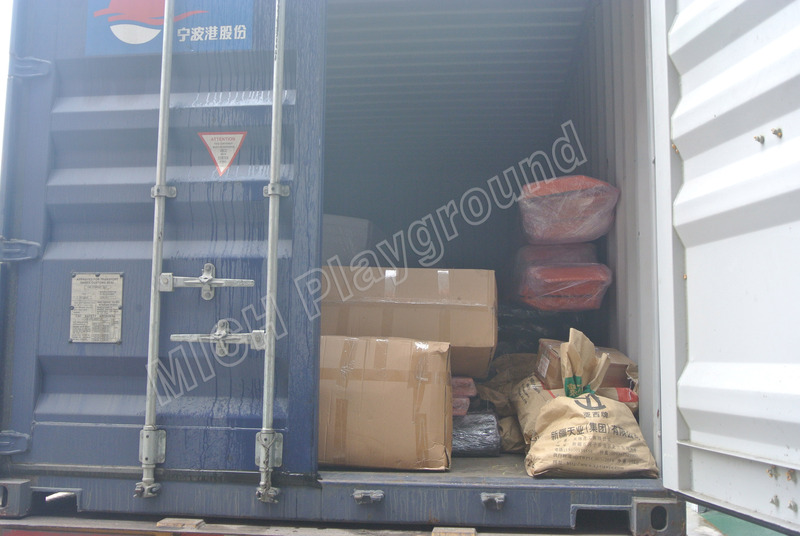 The container is exports of trampoline park to Japan. 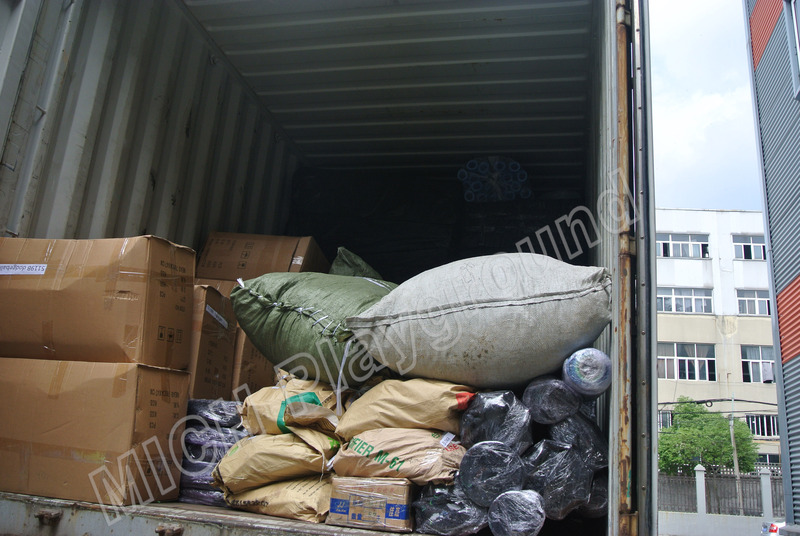 The container is exports of trampoline to Russia. 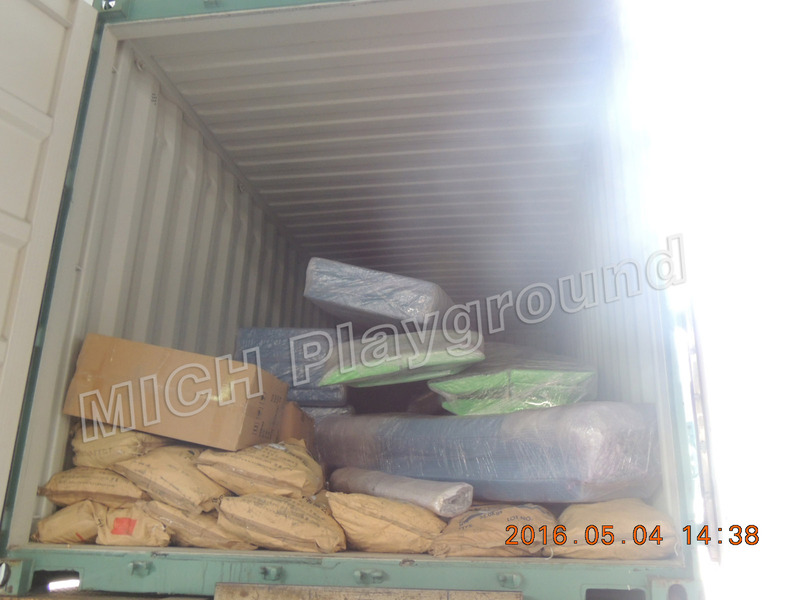 There have a container is export of outdoor playground to Chile. 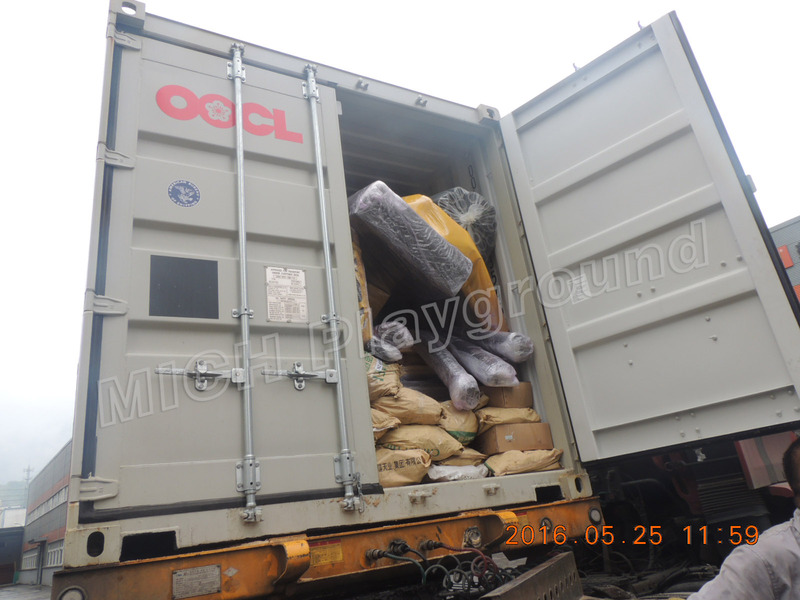 Here have a container is exports of trampoline to Japan. The indoor playground is very popular for children now.This soft playground size is 11x12x5.3m.of course,we can according to your location size to design for you. Just need you tell us your requirements,we can customize for you.The children playground include soft play,large slide,sea-ball,spider tower soft play,etc.there have a lot fun project for kids.the children can enjoy playing funny. The climbing size is 6.4x5.6x2.5m.the size and color are changeable.we can according to your requirements.climbing suitable at park ,kindergarten,Training kids’ Guts and climbing ability,enjoy the happy time. Mobile play center is a new type of soft playground we produce, it is small size and ready assembled pcs by pcs, very easy installation. This type soft playground size is 7.79x3.26x2.5m and is suitable for children from 2-6 years old, include soft toys, plastic tubes, plastic slide, ball pit, play panel and so on.This New indoor playground is very easy to installation. Small size just need 2-3 hours,very simple.We have lots of cilor options,and can make the customize desgin according to your location size. Outdoor playground suitable for children 3-12 years old,and the size is 10.3x8.3x5.6m,the size is changeable,we can according to your size design for you.The outdoor playground suitable at kindergarten,park,etc. Kids really like playing outdoor on grass, and get more closer to nature. Sea-ball pool is popular in shopping mall now.many parents take kids to shopping and playing in weekend,the sea-ball pool size is changeable.Training kids’ Guts and climbing ability in a safety area.parents can have fun together with their kids. It is a mixture of sports and pleasure in a perfect and dynamic way. At the park, you can take time to relax when your child plays in spring rocking,The spring rocking size is 0.68x0.45x0.78m.the color,pattern and size are changeable according to your requirements. Children can play it by themselves.Exercise the children's courage,at the same time have a happy time.